I produce replicas and copies for Swedish museums. One example is a costume made for a reconstruction of a female skeleton called the Barum woman dated to 7010-6540 BC that was found in Barumsviken, Skåne. The skin of red deer, which was known to exist in Skåne during this period, was used for making the costume. The hide was brain- and smoke tanned, and a pattern was chosen that allowed the use of a single hide for the entire dress. 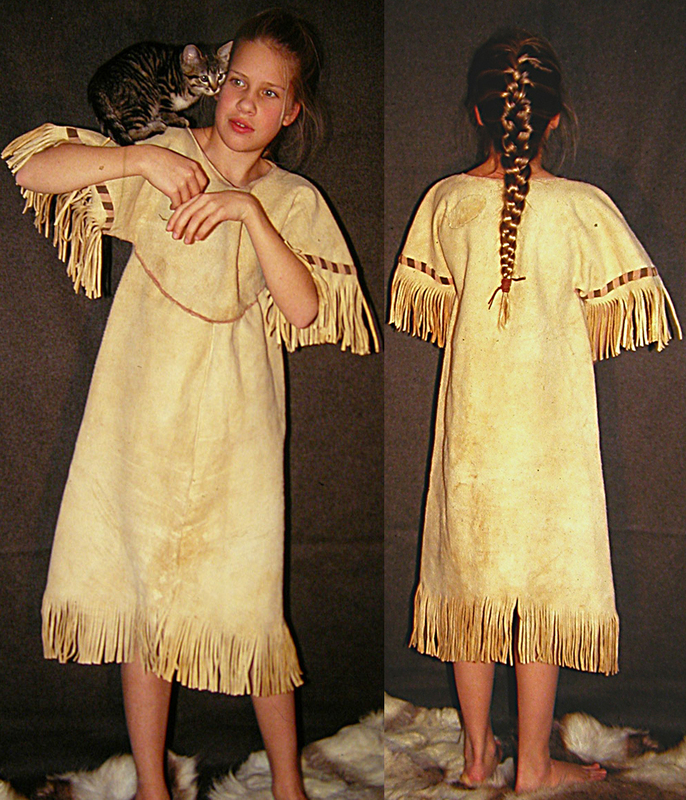 The dress was sewn with with bone needles using thread made from sinew. Decorations on the sleeves were inspired by a pattern inscribed on an ax made of deer antler from the same period. The shoes were made of hide from the back legs of a deer. The skin removed from the animal's heel is used as a heel for the shoe. 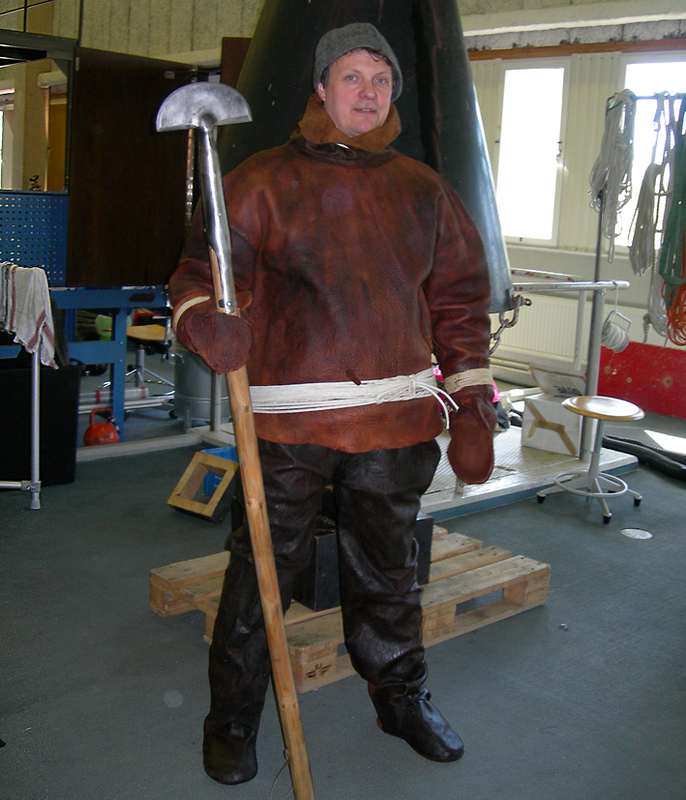 Summer 2010 I had an exhibition entitled “Arctic Leather Tanning - A Cultural Heritage for Humanity” at the Ethnographic Museum in Stockholm. The exhibit is composed of 4 sculptures in rawhide representing four women from different parts of the world who taught me tanning. Accompanying each sculpture is a slide show of the represented lady at work with skins. The exhibit was thus organized as thanks and gratitude for their help, and to emphasize the importance of not only preserving objects in museums, but also for preserving the original knowledge and techniques required to produce the objects. 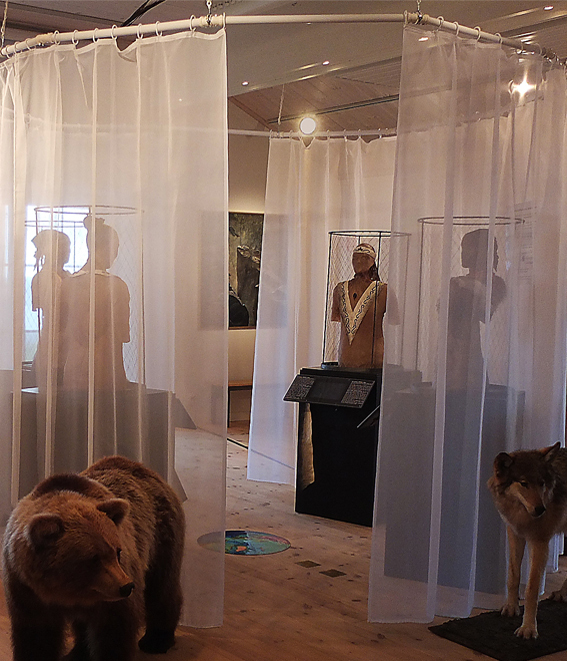 The traveling exhibition has been shown in 28 museums in the Nordic countries. Feb 7, opening 8.00-10.00 at Sameslöjdstiftelsen Sami Duodji, Jokkmokk. You can book the exhibit through lottasgarveri@gmail.com. 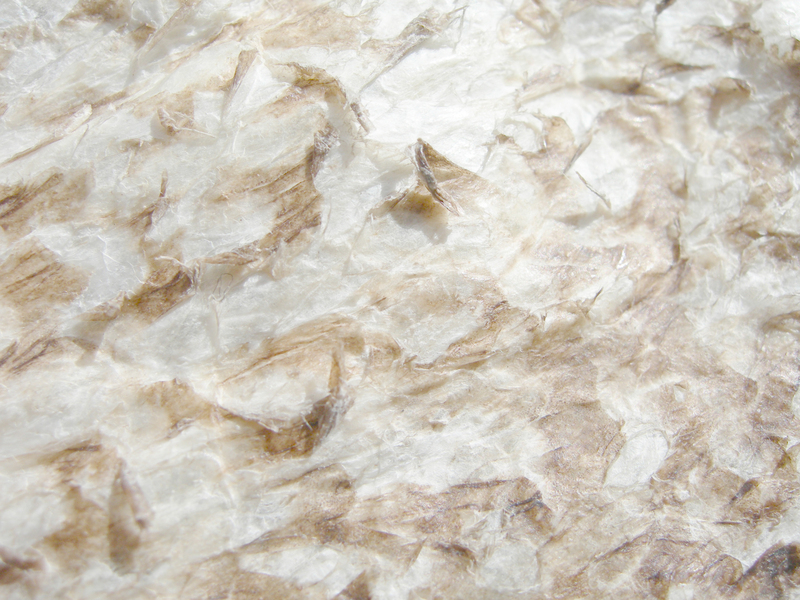 Arctic Leather Tanning - A Cultural Heritage For Humanity. 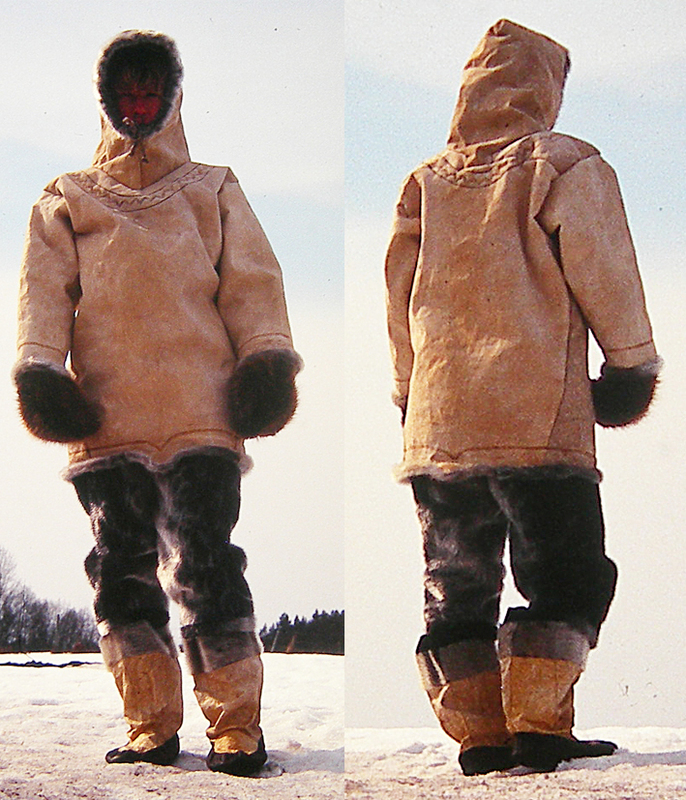 Diving Costume in moosehide. Museum of Diving. 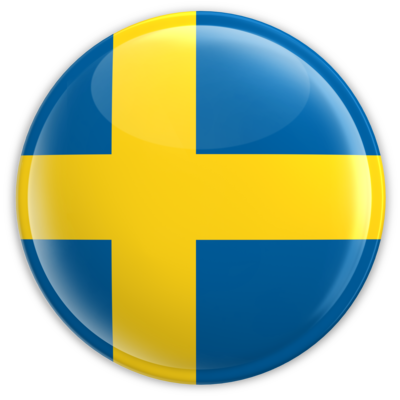 Stockholm. Seal skin costume. Murberget Museum, Härnösand.